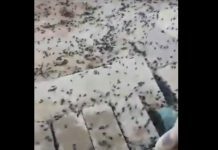 It is raining insects in Albuquerque! 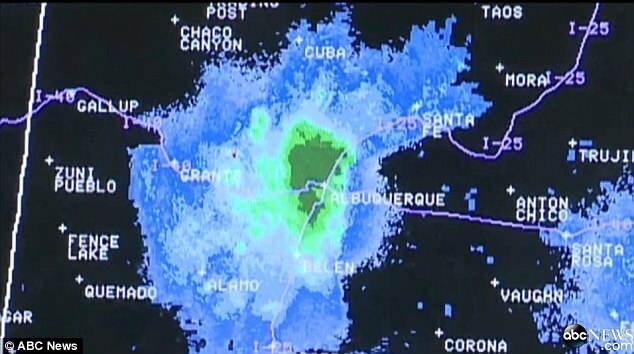 Weather officials were baffled by a green cloud that showed up on radars in Albuquerque. 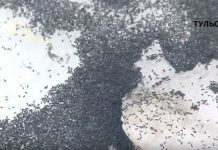 This mysterious cloud wasn’t rain but grasshoppers… The swarm was indeed so dense that it created a weird shape on the weather radar! Strange clouds that looked to be rain have appeared on the National Weather Service’s radar during the last few nights. 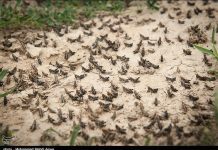 This mysterious green formation actually illustrates New Mexico’s worst grasshopper infestation in the last twenty years. Hopefully it will not take too long!